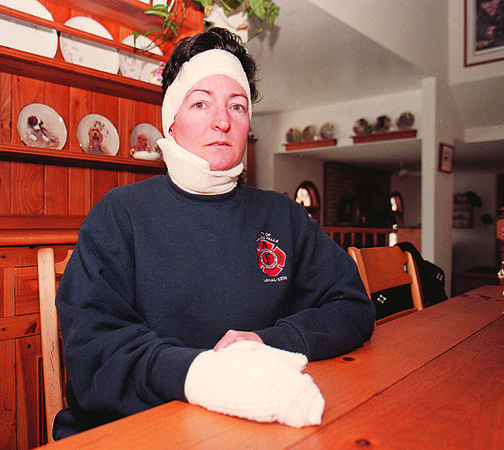 1/27/97--FIRE VICTIM--DAN CAPPE LLAZZO PHOTO--NF FIRE CAPT. MARGO KUNDL SITS IN HER HOME IN BREGHOLTZ. SHOING INJURYS TO HER HAND AND FACE.